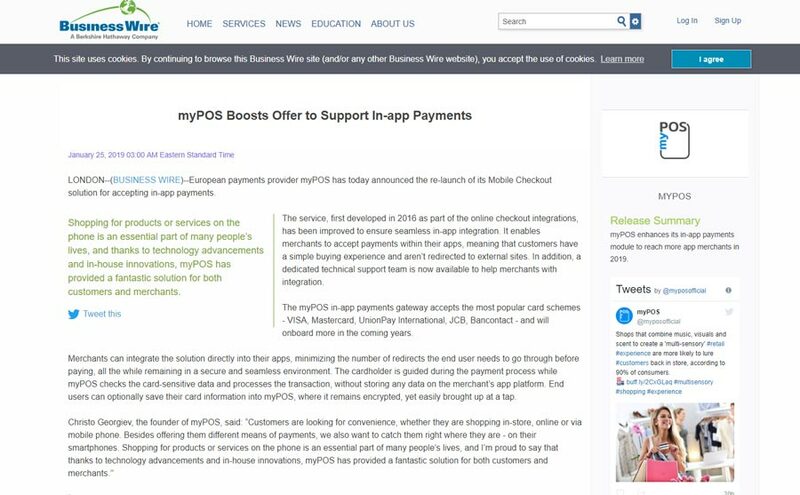 LONDON–(BUSINESS WIRE)–European payments provider myPOS has today announced the re-launch of its Mobile Checkout solution for accepting in-app payments. Shopping for products or services on the phone is an essential part of many people’s lives, and thanks to technology advancements and in-house innovations, myPOS has provided a fantastic solution for both customers and merchants. The service, first developed in 2016 as part of the online checkout integrations, has been improved to ensure seamless in-app integration. It enables merchants to accept payments within their apps, meaning that customers have a simple buying experience and aren’t redirected to external sites. In addition, a dedicated technical support team is now available to help merchants with integration. The myPOS in-app payments gateway accepts the most popular card schemes – VISA, Mastercard, UnionPay International, JCB, Bancontact – and will onboard more in the coming years. Merchants can integrate the solution directly into their apps, minimizing the number of redirects the end user needs to go through before paying, all the while remaining in a secure and seamless environment. The cardholder is guided during the payment process while myPOS checks the card-sensitive data and processes the transaction, without storing any data on the merchant’s app platform. End users can optionally save their card information into myPOS, where it remains encrypted, yet easily brought up at a tap. 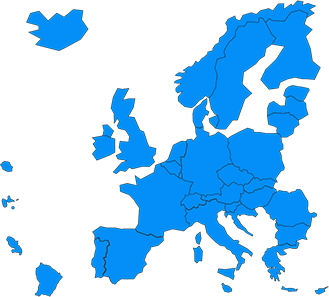 myPOS Europe Ltd is a payments provider and processor, registered at Level 33, 25 Canada Square, Canary Wharf London E14 5LB, UK and licensed by the Financial Conduct Authority (FCA). The myPOS package includes a mobile POS device, free myPOS account with business VISA card and access to additional merchant services. This entry was posted in In the Press and tagged in-app payments. Bookmark the permalink.